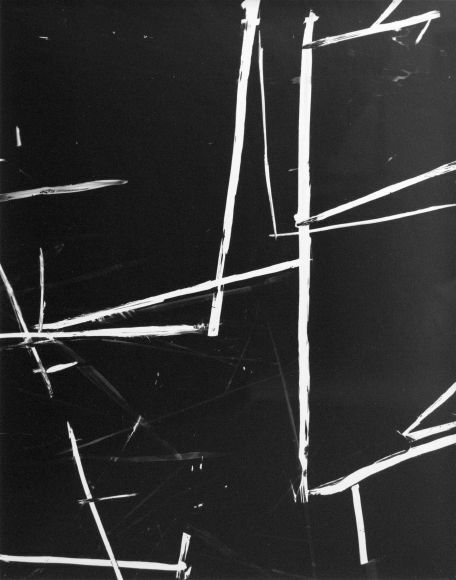 In her current exhibition at Lori Bookstein Fine Art, Eve Aschheim is showing both drawings and photograms. 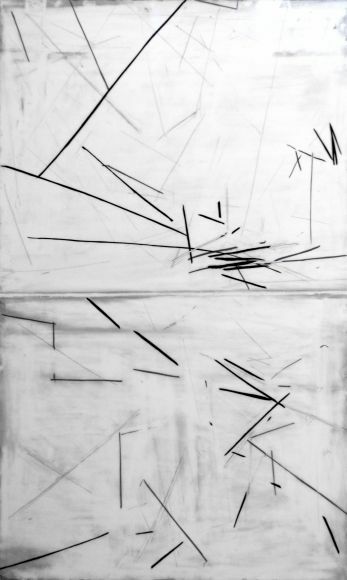 Aschheim’s drawings, executed with gesso, graphite and ink on mylar, set unstable geometries on fields of tonal washes. Her photograms—made directly from her translucent drawings—take her ideas further through the addition of drawn images and transmutations made during multiple exposures. Dynamic, conceptually fragile and resolutely abstract, Aschheim’s latest works are a continuation of the artist’s career-long dialog with modernist abstraction. Tell me about your photograms: when did you begin making them? 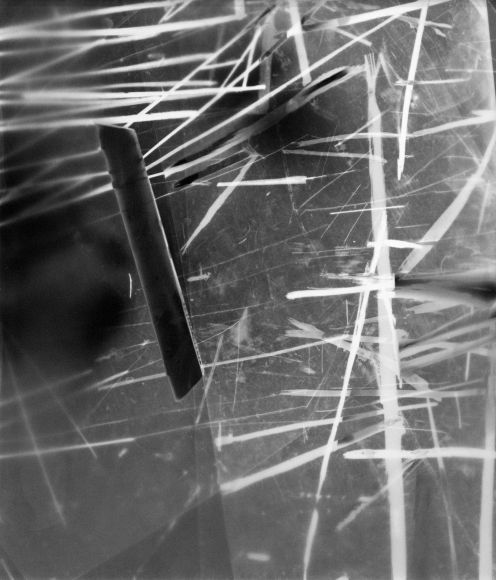 They began at the instigation of Emmet Gowin, a Princeton colleague, who thought we could shine light through my mylar drawings to make photograms. It reveals the hidden life of the drawing: a kind of x-ray. A trace of past decisions shows up, things not visible in the finished drawing: pencil lines under white gesso for example. To work with Emmet in the darkroom is magical; he works with full presence, knowledge of materials, and an instinct for possibility. He got me thinking in another medium, the photographic. He showed me many things, like how to draw with prepared flashlights, literally “drawing with light” which darkens the photo paper. Soon I was working on my own, and I started using objects, drawn elements and other contraptions to make photograms that were not dependent on my drawings. Our darkroom tech Teresa Simao has advised me in so many ways. Gary Schneider and Accra Shepp have also been insightful. Have you always favored abstraction? Yes. My grandfather was an economist and an avid wood sculptor. When I was young, he introduced me to abstract art, enthusiastically proclaiming it “Modern.” In kindergarten I fancied myself a modern abstract artist and decided to draw every single day. Most of the girls played house, and the boys played with tinker toys. I learned to paint and draw figuratively, but I liked the freedom of abstraction. I’m more interested in abstract relationships than appearances. Who and what are some of your sources and influences? 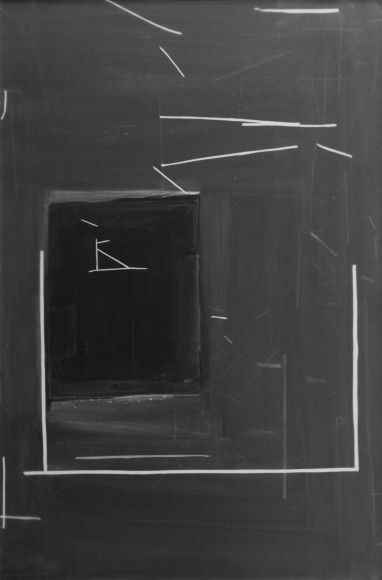 Originally Malevich, El Lissitzky, Kandinsky, Klee, Matisse, Tintoretto, then artists associated with Minimalism, but who weren’t doctrinaire, like Eva Hesse, Agnes Martin, Brice Marden, Ann Truitt, Richard Artschwager. When I moved to New York and started teaching at Princeton I met Heidi Glück and Merrill Wagner, who is married to Robert Ryman— I learned a lot from them, and also from Dorothea Rockburne, Seton Smith, Linda Besemer, Richard Whitten, John Dubrow, and Linda Francis. It also interests me the way some Europeans reconfigure the problems and rules of abstraction, often starting from the same sources as mine, but ending up in other places: Geneviève Asse, Fritz Klemm, Jürgen Partenheimer, and Nadine Fecht. My friendship with the prodigious East German draftsman Hanns Schimansky crisscrosses the Atlantic. Several years ago he took my husband (John Yau) daughter and me to the Bauhaus in Dessau, Germany. Then later, when he and I were in a show together at the Hartford Art School, at the panel discussion he spoke about living in East Germany and what it could it mean for a line to be “free”. We are still discussing this question. I have a similarly dynamic dialogue with the Spanish artists Juan Uslé and Victoria Civera. I also look at lots of figurative art: Seurat, Manet, Tiepolo, Lois Dodd, recently Edwin Dickinson, and Chinese ink painting, such as “Eight views of the Xiao and Xiang Rivers” (ca.1150) by Wang Hong. This summer I saw the Hilma af Klint paintings at the New Museum and was shaken up. There is a whole floor devoted to her, and the paintings are so big they engulf you. If you stand close and stare at the little triangle or shape in the middle, using it as a focus point, the rest of the painting becomes a floating mystical space with things rushing past. It is quite visionary, and a strange experience. It is clear that her work was intentionally big. She hasn’t influenced my work yet, but things seep in slowly. I first met you when we were both students at UC Berkeley. Who were your mentors there? I studied with Elmer Bischoff, Joan Brown, Chris Brown, David Simpson, George Miyasaki, and almost everyone else there in painting, including visitors James Hayward and Robert Yarber. I soaked it all up, and we had fun painting in the studios on weekends, a loose group with Emily Wilson, Chris Lesnewski, Margaret Trimble, Steve Schwartz, Susan Weller, John Beech, with other artists around: Cynthia Lin, John Zurier, Russell Steinert, Jack Hanley, Deborah Oropallo, and René de Guzman. Joan Brown was a very decisive and powerful personality. She was a very big influence in pointing me in the right direction. I was making figurative paintings and trying to learn how to make abstract paintings: she said I had to choose. I was closest to Elmer Bischoff, who had a very special eye and gave me regular critiques. I could never predict what he would say. He talked about the “knife” in my drawings. He showed me so many things. Just yesterday I saw another state of the Rembrandt print The Artist Drawing from the Model (1648 or later) that Bischoff loved in the “Unfinished” show at the MET Breuer. I still think about things he said. I also studied with the art historians Svetlana Alpers, a powerful and rigorous thinker, and Kristine Stiles, who as just a graduate student taught an intense seminar on Pop Art. We had a class full of future art historians, writers, and artists, including Dean Smith, Rebecca Solnit, Roland Hsu, and the gallerist David Maupin. There was a lot at stake. I liked the underbelly of Pop—artists like Bruce Conner, Jay DeFeo, Wallace Berman—better than Pop. 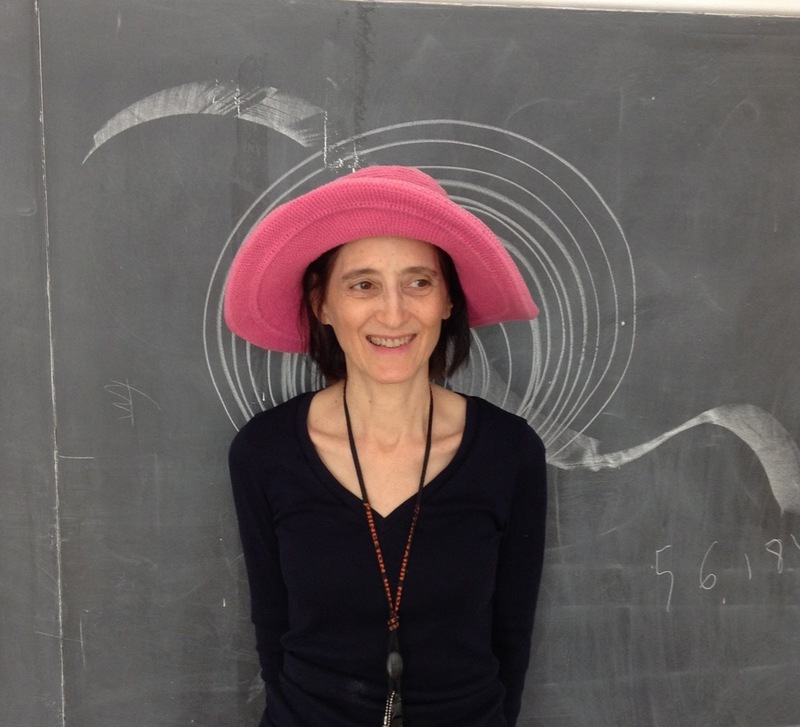 When and how did you come to teach at Princeton? What has your teaching career been like? In 1991 Jim Seawright, Director of the Program in Visual Arts, hired me as an adjunct from the slide pool, after a studio visit. I had moved to NY and just sent in slides. It was a dream come true, because I love teaching there. Concepts like originality and creativity have been usefully critiqued in terms of the artist’s indebtedness to prior works, but invention is still real and exciting. Teaching is all about this creative moment, where knowledge, intuition and materials intersect through channels that are partly unconscious. Over time, I have become less focused on ‘successful’ student work and have become more open to idiosyncratic things happening. I’ve also had wonderful opportunities to work with colleagues in the classroom. I twice co-taught a graduate course with the brilliant poet and essayist Susan Stewart. Called “Drawing and the Line in Literature and the Visual Arts,” the class explored ekphrasis and various connections between our disciplines, touching on topics including clouds, shadows, anamorphism and projective systems, time and narrative. Recently we taught the course in the Princeton Museum, with Mei-Mei Berssenbrugge and Richard Tuttle as guest artists. Mathematician John Conway has come to my painting class to talk about n-dimensional geometry and other math concepts. Since the Cubists were inspired by 4th dimensional geometry, I wanted to challenge students to experiment with how higher dimensions might look. Conway is interested in the math that underlies many structures in the visible world: pine cones, frieze patterns, brickwork patterns, etc. Currently I’m collaborating with the engineering professor Naomi Leonard on a “motion capture” project for my drawing class. She has a lab outfitted with equipment for motion capture. We are experimenting with drawing 3-dimensionally in real space using a wand with sensors. 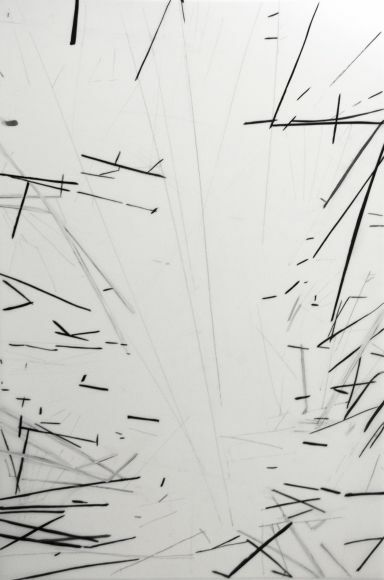 The resulting drawings are 3-D and can be viewed on the computer as a still image, rotated in space, or seen as they develop over time as a continuous video. Being married to a writer/poet/critic (John Yau) I bet you have some lively discussions about art at your house, right? It’s pretty much a non-stop discussion about one thing or another almost all hours of the day and night. Packages of books are always arriving. Every table or chair is just another place to stack books, and every day we talk about a new book or show. Tell me a bit about living in New York and how it affects your work? My studio is on the West Side Highway in Manhattan, and I have a view of nature in the city, with lots of different kinds of movement: trees, airplanes, boats, cars, and pedestrians. I live in the NoMad area, and although undergoing gentrification, it is still a wholesale shopping neighborhood with lots of stores selling handbags, jewelry, wigs, perfume, plants, etc. The energy of the city is always somehow feeding my work. The constant tearing down and rebuilding, the clash of sounds, the odd visual juxtapositions, the piles of thrown-out stuff on the street, the strange left-over spaces, the construction sites that expose views never seen before, the street vendors and barking dogs…it all resonates through my art. Is there anything you would like to mention about your current show at Lori Bookstein? This is the first time I am showing the drawings and photograms together in New York. The relationships between the two have gotten more complex. 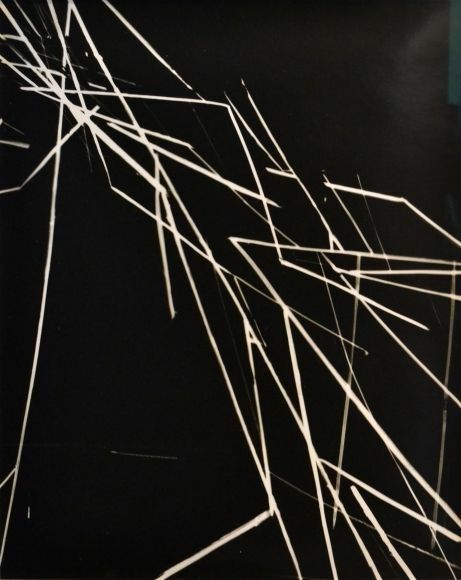 Some photograms are relatively direct transcriptions of drawings and other photograms are created in the darkroom and have no specific intact source; they are made in many different ways. I’m also excited to show with Louise Kruger, a very special artist with a tough and personal vision.